There is an online search tool in Wyoming’s Secretary of State website that users can utilize to get details of businesses situated in Wyoming. Users must first secure the filing name and the filing id of the corporation or entity because these are required when using the search tool. To search for records of business entities in Wyoming, a procedure should be followed. Here is a step-by-step guide to make your search easier. Step 1. Visit this link to be redirected to the search page of the Wyoming Business Search. This is he page where you will begin searching for the business entity information you need. Step 2. You can pick between providing the “Filing Name” or “Filing ID” in their respective fields. Type “TacoJohn’s” for example or the name of the company on the “Filing Name”. Other details should be specified on the “Starts with” and “Contains” fields to narrow down the search and make it faster. Look at the picture below to make sure you are in the right page. Step 3. Click on “Search”, then you should be redirected to the results page. On this page, you will find a list of business organizations that have the name you entered earlier. Under each name is a short description and detail about the company. Step 4. For more information about the particular business entity on the results page, click on the name. 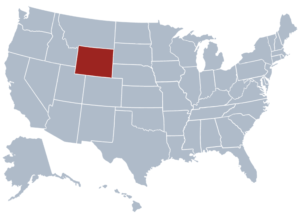 The Constitution of Wyoming established the Secretary of State of Wyoming. It belongs to the several constitutional offices of this particular US state. When the Governor is not around and available, the Secretary of State of Wyoming is the substitute. Wyoming has had Ed Murray as its Secretary of State since the year 2015. The chief keeper of public documents and archives in Wyoming is the Secretary of State. The Great Seal of Wyoming is used to prove the authenticity of government documents and the Secretary of State allows users to search them through the Wyoming Corporation Search. Legislation and Executive acts of the state are recorded by the SOS.